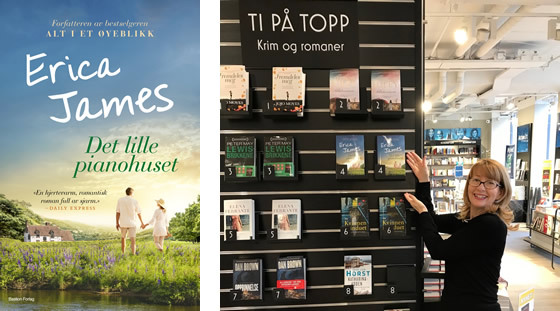 The Hidden Cottage is Erica’s latest publication in Norway. Erica’s Norwegian publisher – Bastion Forlag – has produced a beautiful cover for DET LILLE PIANOHUSET. 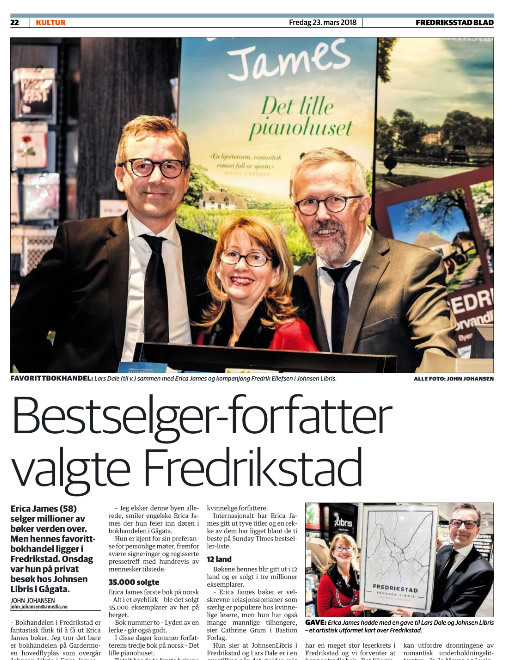 Following a recent mini book tour to promote the launch of the book, it went straight to No.4 and Erica made headline news. Read on. 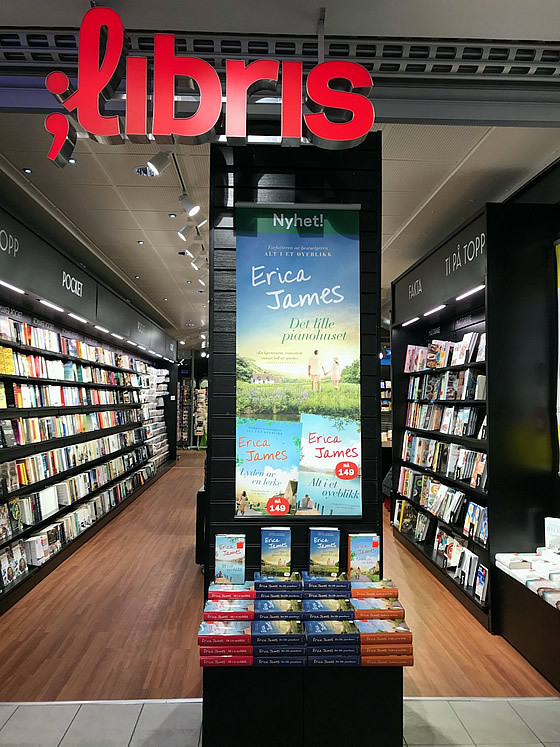 Above, the Norwegian cover for Det lille pianohuset and to the right, Erica in Oslo at No. 4. 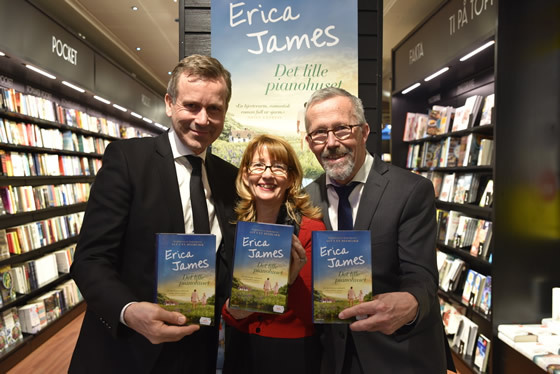 Above, a photo of Erica taken in Fredrikstad (Norway) with the booksellers from Johnsen Libris. Above, a fantastic display for Det lille pianohuset – The Hidden Cottage.